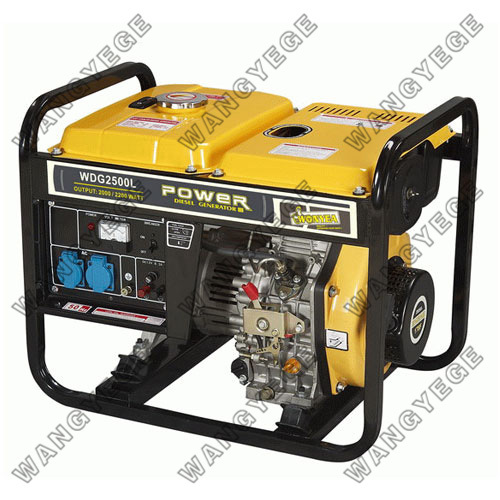 In accordance with the provisions of national standards, diesel generator sets at work the altitude, ambient temperature, relative humidity, with or without mold, tilt, etc. have different requirements. So what exactly how these factors affect the normal diesel generator work? The first diesel engine calibration for a particular power is in terms of environmental conditions. Environmental conditions is the location of the diesel engine environment, atmospheric pressure, ju degrees and relative humidity, their performance and efficiency of diesel engines have a great impact. When the ambient atmospheric pressure is reduced, temperature and relative humidity increases, the inhalation of dry air within the cylinder diesel engines will reduce engine power is reduced. On the contrary, the engine power will increase. Because of environmental conditions on the impact of diesel generators to run large, so there are a series of standards. Which in GBll05.1--87 "engine bench performance test method" provides a standard diesel engine working environment: atmospheric pressure P. = 100kPa, relative humidity is known ∮. = 30%, the ambient temperature T. = 298K, or 25 ℃. If the engine work in the non-standard conditions, the effective power and fuel consumption rate should be amended to Yak standard environmental conditions.